This page contains all the information available for Gulpin in Pokemon Ultra Sun and Moon including all Level Up, TM, Egg, and Tutor moves. 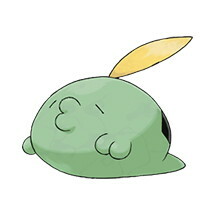 Liquid Ooze When the opponent absorbs Hit Points from this Pokémon, the opponent instead loses Hit Points. Gluttony The Pokémon eats a held Berry when its HP drops at 50% or less.